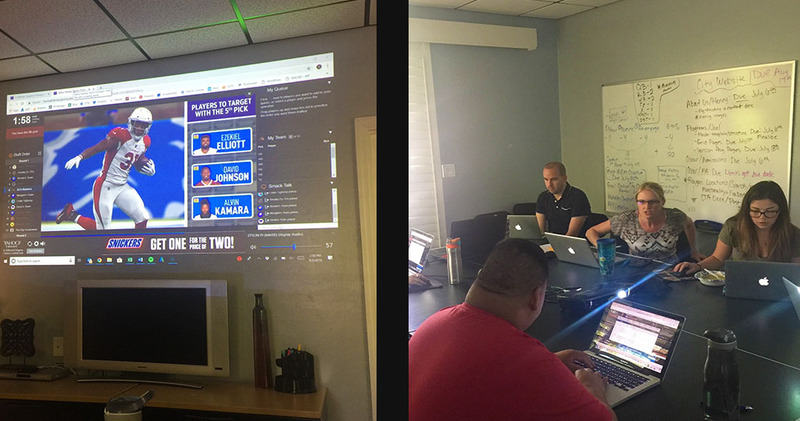 The Celsius Team met in the Conference Room to participate in the Live Draft for our Fantasy League, A Different Degree of Fantasy! If you can tell from the pictures, the room got a little heated as we each strategized to pick a winning team for this season. May the best person WIN! !